The title may have grabbed your attention; but I promise they have nothing to do with each other. So last night we went to surprise a very good friend at a pub about an hour and half away. You know how you get there kind of early; around 9pm and no one is really taking advantage of the DJ playing songs. There was a guy dancing all by himself having a ball; I know this because I read his lips when he looked over at his friends and said; “I just can’t stop” He was definitely worth watching. Think Elaine from Seinfeld Hilarious!!!! The night goes and people (including our party) start getting their groove on; I am guessing in part because of liquid courage (not me I was DD); if you know what I mean. We have one person in our party is ALWAYS the life of the party and she decided to do “the worm” not once but several times. Majority of our party are in their 50’s or getting close too (I have a few more years). One notable comment was; I haven’t been to a bar that plays music for years; “is this the crap they play now” Yeah he was older than 50. We left very close to midnight; I could’t believe we stopped at McDonld’s for a midnight snack. I can’t even remember the last time that happened. It was pretty disapointing; but it filled the void. 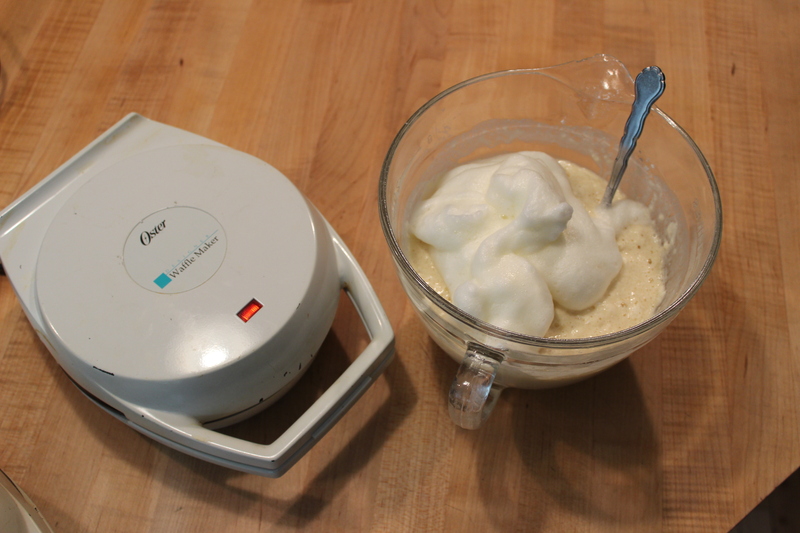 Today was pretty productive: I made homemade waffles – YUM! got some Christmas shopping done; got my CC shutoff; seems they thought there was some fraud going on; I didnt buy that much and nothing odd I swear; they did call to double check so we are good to go! Went grocery shopping; made Corned Beef and Cabbage, a couple of Lasagna’s I always more than one; you make that much of a mess; you need to make it worth your while. It freezes well and I love having a yummy homemade dinner without ANY effort on busy week nights. I even made brownies. I am about to start gathering some recipes for an Appetizer class I am going to have later this week. Need to mention that I will need to wash my floors before class; I will just say that my buddy who likes to do the “worm” wants to take one of my classes and is signed up for this one coming up. Going to be a good one I think! In a small bowl combine flour, salt, powder. In another bowl slightly beat the egg yolks, beat in the milk and oil. add the egg yolk mixture to the flour and stir just till incorporated; lumpy is OK. 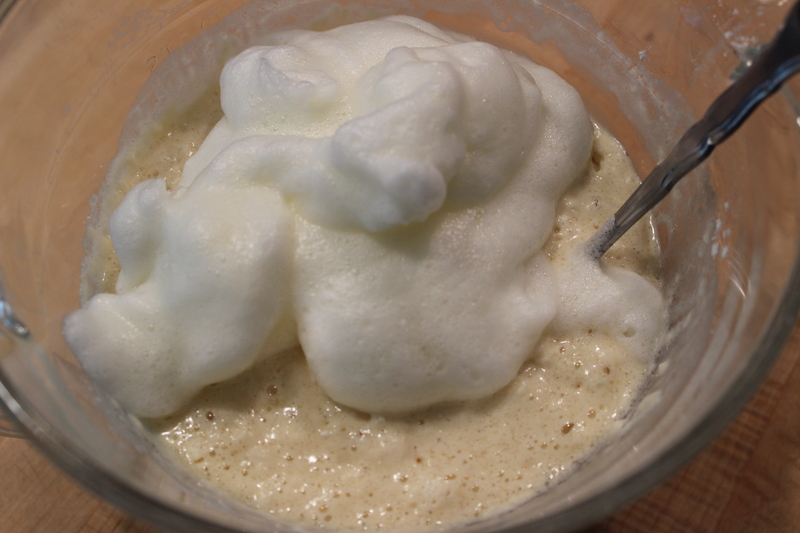 I use my mixer to beat the egg whites till frothy. Gently fold into the batter. 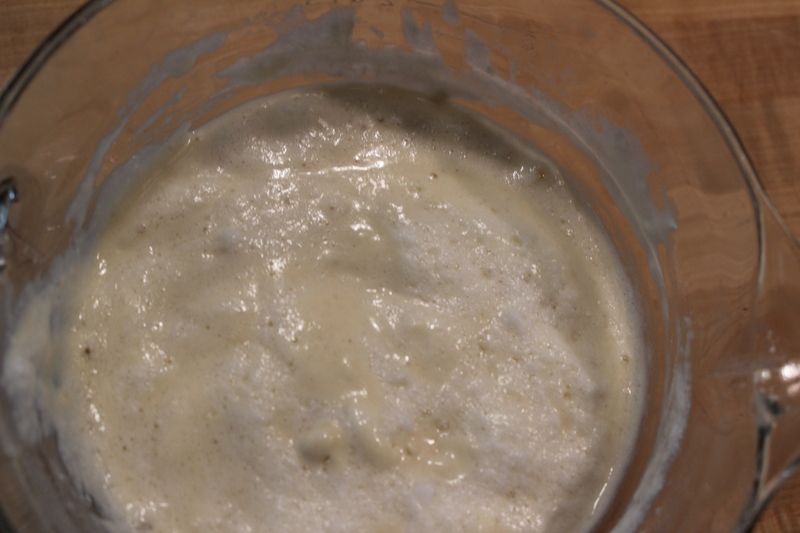 Do not over mix and OK to leave some egg whites unmixed. 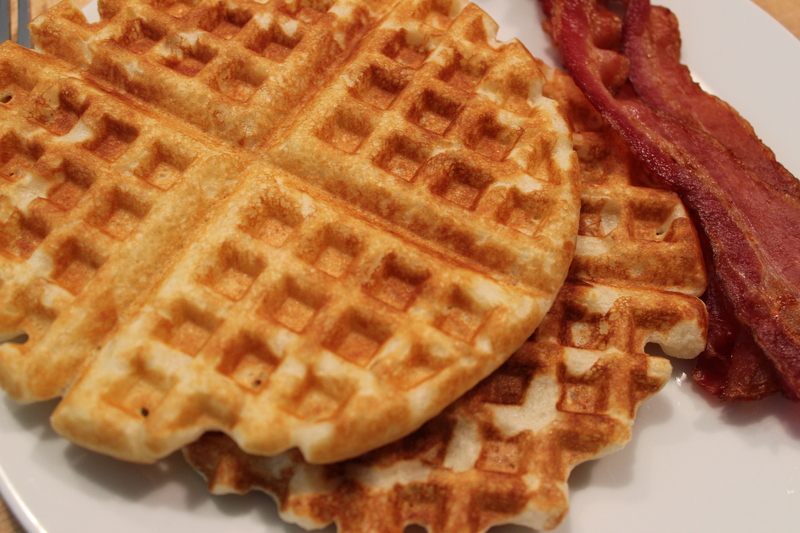 Use your waffle make according to it;’s direction. My batter this morning made 8 waffles.